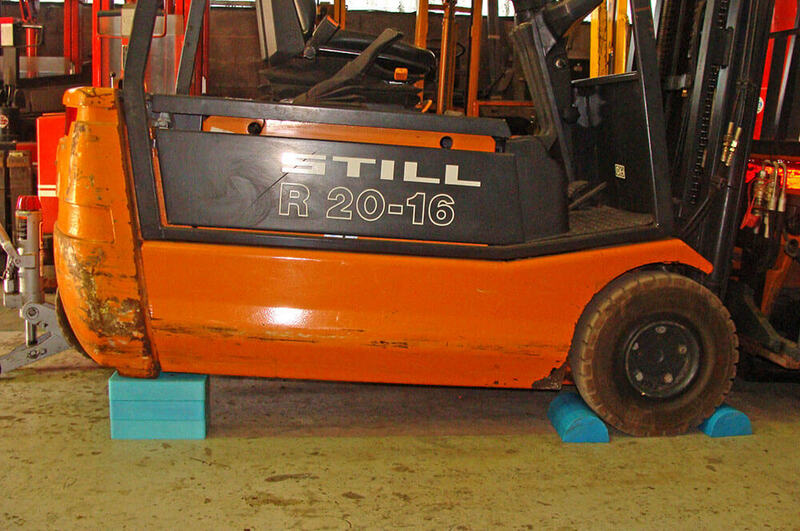 The fork lift truck (FLT) block system was developed in partnership with one of the leading fork lift truck manufacturers to offer an alternative to wooden supports during maintenance. Timber supports are untested and can split, rot or crack, meaning working underneath a vehicle supported in this way can be dangerous and potentially fatal. The FLT Blocks have been tested and certified to 100T, ensuring workers are safe whilst working under the vehicle and giving peace of mind to health and safety officers and managers alike. 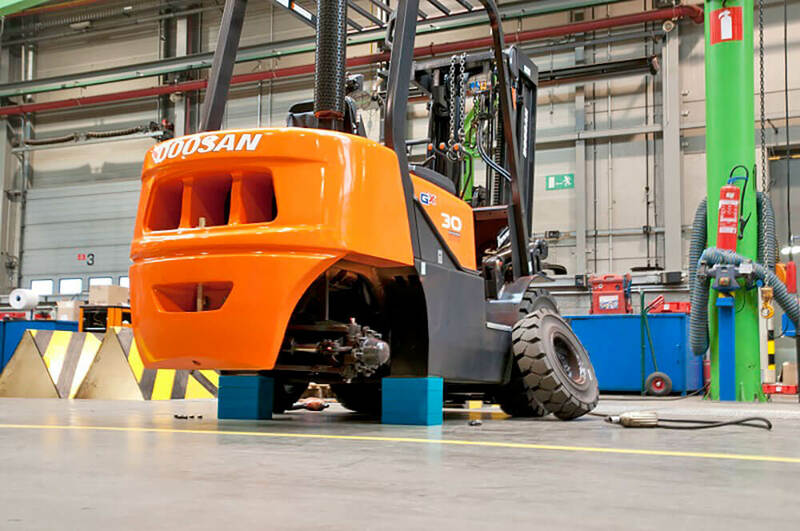 The blocks are supplied in 2 stacks of 250mm meaning the fork lift is evenly supported. 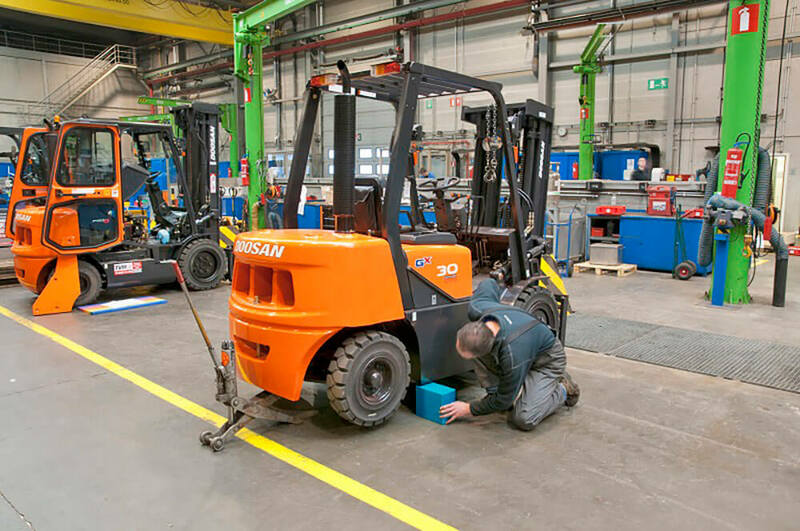 The ridged tops and flat bases ensure the fork lift is stable and safe to work under when supported. The FLT block system was featured in 2011 at the FLTA Awards for excellence and is now commonly used across the industry by engineers, manufacturers and service teams. The system does not rust, rot or crack and can be expected to last for many years without replacement. 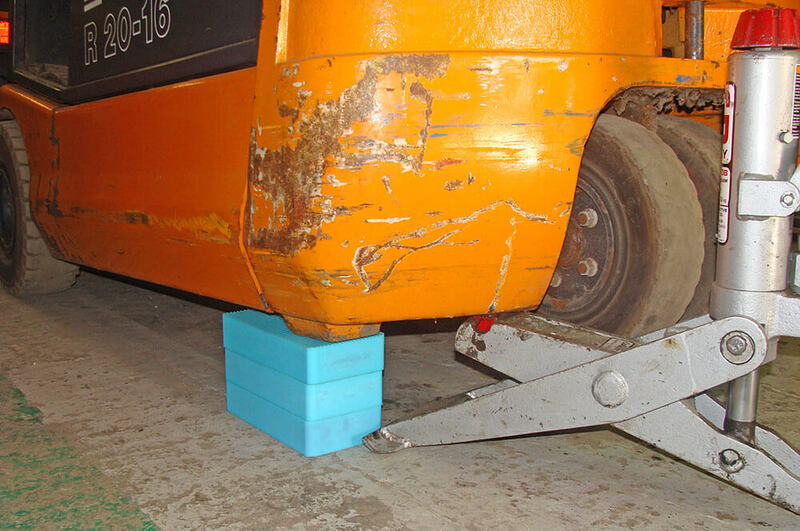 Although the main application for this system is for supporting fork lift trucks, the blocks can be used in other applications such as supporting cars, lorries, trailers, caravans and heavy equipment. 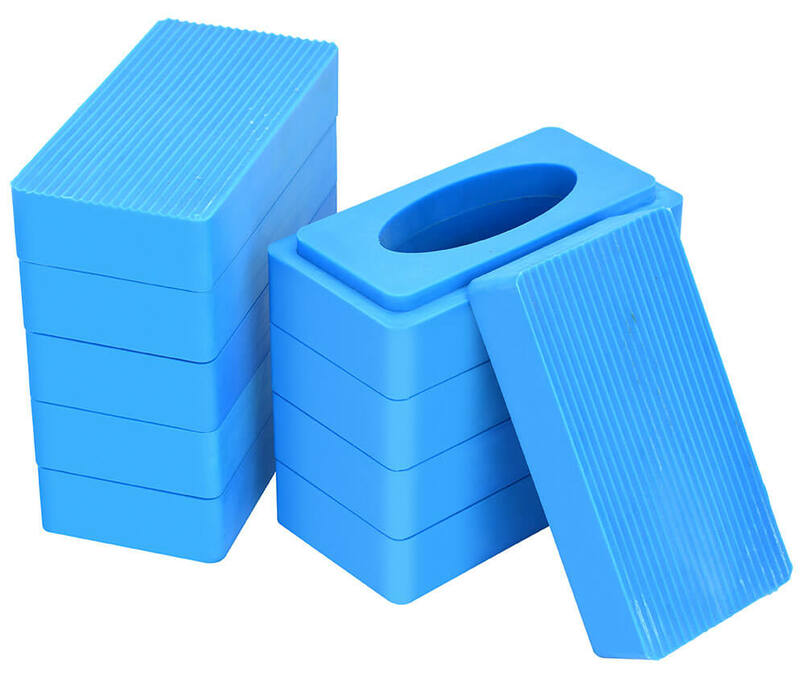 For more information about our Blue Block System or any questions regarding our engineering plastics, contact our sales team today for more information.